Central apnoeas are due to hypocapnia associated with a metabolic acidosis and an unstable respiratory pattern. Obstructive apnoeas are more common than in normal subjects and may be at least partly due to 'toxins' which alter central nervous system respiratory control. The association with obesity is less marked than in normal subjects, but the apnoeas appear to increase the risk of cardiovascular complications and may contribute to hypertension. They respond to nasal continuous positive airway pressure. Complication rates may be reduced by avoiding potent narcotic agents and other sedatives. CPAP is advised in patients with a preoperative RDI greater than 40 and lowest oxygen saturation less than 80 . Patients are seen in follow-up 7 days later and again in 4-6 weeks. General guidelines for surgical intervention include significant symptoms of snoring and daytime somnolence documented failure in continuous positive airway pressure (CPAP) trials and documented failure of conservative measures, such as dental appliances, changes in sleeping position, and sleep hygiene in general. Apparent obstruction at the level of the soft palate must be determined by fiberoptic nasopharyngo-laryngoscopy, and M ller maneuver or sleep endoscopy. 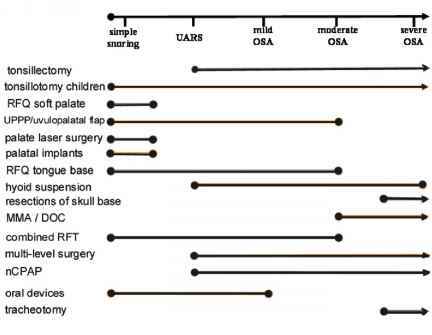 Adequate medical clearance and a thorough review with the patient of the procedure, its implications, and potential outcomes and complications are essential components of the preoperative workup. Polysomnography is appropriate in patients with sleep-disordered breathing, including mild to moderate or severe obstructive sleep apnea syndrome undergoing airway reconstruction. Since successful clinical outcomes of surgery cannot be guaranteed, maximal attempts at more conservative treatments are appropriate. Additionally, the sleep study provides information on the severity of disease and the nadir of oxygen desaturation and helps to identify those who warrant postoperative care and observation. Individuals at higher general surgical risk also include those with severe obesity, severe sleepiness, difficult intubation, or severe pharyngeal tissue redundancy. Individuals with preexisting speech or swallowing disorder should be identified and warned that pharyngeal surgery may worsen symptoms or problems with dysphagia, muco-ciliary function, mouth dryness, and aspiration. Up to 40 of patients seeking surgery for sleep apnea have a history of cardiovascular disease 12 . Preoperative assessment therefore should include an electrocardiogram, chest X-ray, complete blood count, and a thorough general medical evaluation to assess the risks of cardiopulmonary complications and the need for medical referral. Stress testing and pulmonary function testing should be considered for those patients with significant histories. Preoperative flexible laryngoscopy is useful to assess the ease of intubation for surgery and also to rule out an occult lesion as the source of airway obstruction. The addition of M ller's maneuver assists in determination of areas of collapse. Upper-airway imaging, including lateral cephalometric radiographs, fluorosco-py, CT, and MRI, is usually unnecessary, but may aid in identification of the site of collapse. In the case of mild obstructive sleep apnea (OSA) with a suspected retrolingual collapse, hyoid suspension is an alternative to radiofrequency therapy of the tongue base. We primarily choose the radiofrequency procedure owing to the lower invasiveness and postoperative morbidity, and offer hyoid suspension secondarily, after failed radiofrequency surgery. But for mild OSA and diagnosed retrolaryngeal stenosis, we often choose the hyoid suspension in combination with radiofrequency therapy of the tongue base. In the case of moderate OSA, the cure rate of radio-frequency therapy decreases. For this situation, hyoid suspension is superior to radiofrequency therapy. Therefore, we consider moderate OSA (apnea-hypopnea index, AHI, from 20 to 40) as a primary indication for the hyoid suspension procedure. If the obstruction site is suspected to lie solely in the retrolingual segment, an isolated hyoid suspension presents itself as an option. Pierre Robin syndrome and Down syndrome and other genetic syndromes often exhibit breathing problems early in life. In those cases, CPAP may be a good solution until the child has grown enough. A temporary tracheostomy may be life-saving, especially if organic heart disease coexists. Genioglossus advancement and hyoid myotomy with suspension are used for patients with OSAHS as a first-line treatment or after failure of a velopha-ryngeal procedure 4, 8, 32 . Use of these procedures as a primary therapy was shown to be successful 8 . 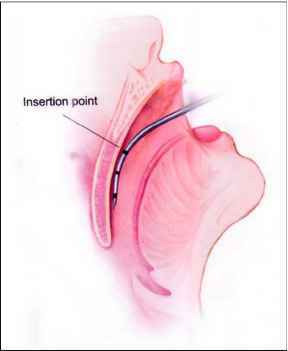 Tongue-base resection with hyoid suspension is another technique for patients with moderate to severe apnea who are not compliant with and or tolerant of CPAP treatment 6 . Cephalometry is the most commonly performed imaging study for this purpose. It offers both bone and soft-tissue measurements, and is used for surgical planning and predicting outcome. Its main drawback is lack of normative data, especially for soft-tissue measurements. Findings that correlate with the diagnosis of sleep apnea are low hyoid bone position, long and thick soft palate, diminished size of the posterior airway space, increased distance from the tip of the tongue to the base of the vallecula, and facial skeletal abnormalities (such as micrognathia) 4, 11 . Polysomnography (sleep study) is essential for the diagnosis of sleep apnea. It serves to confirm the presence of sleep apnea and exclude other causes of excessive daytime somnolence such as narcolepsy, insufficient amount of sleep, and periodic limb movement disorder. Moreover, polysomnography determines the severity of the sleep apnea since the information obtained from the medical history and physical examination in any particular patient is a poor indicator of the level of the disease severity 10 . In addition, polysomnography allows for continuous positive airway pressure (CPAP) titration and initiation of CPAP therapy. Previously, surgical interventions were limited to volumetric reduction of the soft palate, and creation of scar tissue. The improvement following a reduction procedure results from a decrease in the volume of tissue as well as an increase in the stiffness of the palate secondary to scar formation. This new method of stiffening the soft palate with implants appears to be effective in the reduction of snoring intensity and daytime sleepiness. 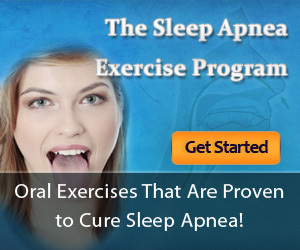 It remains premature to conclude that these implants will be effective in the treatment of sleep apnea. The diagnosis of congenital tracheal stenosis and other obstructive anomalies is based on a high degree of suspicion in infants and children with respiratory distress. Inspiratory and or expiratory stridor may be present, accompanied by retraction. Recurrent or persistent cough and exercise intolerance occur. There may be a history of respiratory difficulties of lesser intensity since birth, or shortly after birth, or of repeated and stubborn respiratory infections. Strangely, dyspnea may be episodic. Cyanosis and apneic episodes may occur. In some cases, difficulty in intubation had led to the diagnosis. Late manifestations of congenital stenosis may represent the child's respiratory demands outpacing the ventilation permitted by the stenotic airway. Only then may a clinical history be retrospectively traced to a much earlier time. Other obstructive lesions are manifest in similar ways. Sion is likely higher than reported in the literature 16, 39, 86, 95, 462 . Adenomatoid hyperplasia typically presents as a painless mass located on the hard and soft palate in up to 95 of cases 39 . Rarely, adenomatoid hyperplasia is located on the retromolar trigone 86, 116 . While it can present at any age it is more common in the fourth decade with a slight male predominance. The typical clinical concern is that of a benign salivary gland tumor 462 . We have occasionally noted these lesions in uvulo-palatopharyngoplasty specimens suggesting their role in some cases of obstructive sleep apnea. HFOV differs from HFV in a number of important aspects. Tidal volume (1-3 ml kg) is generated by the excursion of an oscillator within a ventilator circuit similar to that used for CPAP and is varied by altering the frequency, I E ratio, and oscillator amplitude. The use of an oscillator to generate Vt results in active expiration. Mean airway pressure is adjusted by altering the fresh gas flow (bias flow) into the circuit or the expiratory pressure valve. Oxygenation is controlled by altering mean airway pressure or FiO2. A common finding in patients who fail to wean is the early development of rapid shallow breathing when the ventilator is disconnected.5 This represents the coordinated response of the patient to the ventilatory load applied. The attractive features of this assessment are that it tests the whole ventilatory system and requires that the patient be disconnected from the ventilator, thus indicating whether or not the patient can breathe in a controlled environment. Rapid shallow breathing (frequency divided by tidal volume, f Vt) is best assessed with the patient breathing with continuous positive airway pressure (CPAP) at the level of PEEP used during mechanical ventilation. Rapid shallow breathing has a sensitivity of 0.97 with a specificity of 0.64.8 Weaning parameters with a low specificity result in some patients, who are able to breathe independently, being prevented from weaning. By encouraging all patients to be disconnected from the ventilator this may in part be avoided. One disadvantage of pressure support occurs during sleep when prolonged apnoeic periods, potentiated by lowering Paco2 below normal, may result in repeated ventilator alarms. It is our preference to ensure adequate ventilatory support and allow restorative sleep at night using a controlled mode and then progressively reduce the degree of pressure support during the day. An alternative is to use timed bi-level pressure support42 which ensures adequate ventilation during sleep and, if adjusted appropriately, comfortable pressure support by day. As this method does not involve triggered breathing (it can be conceptualised as cPAP with a timed higher pressure period superimposed), inadvertent triggering during suctioning or coughing is avoided another mechanism for patients becoming distressed. With bi-level pressure support (BiPAP) there is the potential for increasing hyperinflation if inappropriate timing results in expiratory effort during the high pressure period. Low level CPAP may be beneficial in spontaneously breathing, mechanically ventilated patients, especially if expiratory muscle activity is contributing to dynamic airways collapse. However, in mechanically ventilated paralysed patients extrinsic PEEP was of no benefit at low levels and was detrimental at high levels because the fall in gas trapping was outweighed by the rise in functional residual capacity (FRC).22 However, in this study large Vt were used (up to 18 ml kg) furthermore PEEPi and arterial blood gases were not measured. Changes in FRC and gas trapping may guide the level of PEEP. Applied extrinsic PEEP should not exceed PEEPi. The pharyngeal airway tends to become smaller during expiration and if this is prolonged, as in for instance a central sleep apnoea, or if there is an instability of respiratory control, it tends to close 5 . Once the airway is closed, surface forces may hold the mucosae of the airway walls together and increase the force required to open the airway. During each apnoea the section of the airway that is closed spreads progressively proximally. Table 10.1 Maintenance and termination of an obstructive sleep apnoea. Table 10.1 Maintenance and termination of an obstructive sleep apnoea. Arousal from sleep, for instance by a sleep apnoea, does not itself alter the pulmonary artery pressure, but hypoxia during each apnoea causes pulmonary vasoconstriction with the result that the pulmonary artery pressure rises towards the end of the apnoea and immediately afterwards 10 . This causes systolic right ventricular afterload which reduces the stroke volume. This reduction in stroke volume contrasts with the situation towards the start of the apnoea when the right ventricular output is reduced because of the bradycardia although the stroke volume is normal. Males have a higher apnoeic threshold than women. This predisposes to central sleep apnoeas during NREM sleep-stage transitions. The hyperventilation related to arousal at the end of sleep apnoeas lowers the Pco2 and if this falls below the apnoeic threshold it will lead to a central sleep apnoea. The upper airway tends to occlude during the prolonged expiration of a central sleep apnoea, particularly if the Pco2 is low. Mandibular Tonsillectomy CPAP Nasal advancement ventilation Fig. 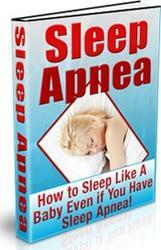 10.4 Treatment of obstructive sleep apnoeas (OSA). CPAP, continuous positive airway pressure REM, rapid eye movement. physiological effects of OSA such as transient hypertension during apnoeas, and its effect on preventing long-term complications such as strokes or myocardial infarction is unknown. It should, however, be considered if excessive daytime sleepiness persists despite optimization of treatment, particularly nasal CPAP. Treatment with modafinil has not been shown to reduce compliance with nasal CPAP. 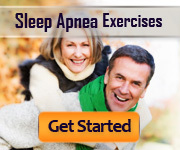 These are similar in principle to those for OSA, but upper airway surgery is usually more effective because the site of snoring is often more localized than the site of obstruction in OSA. Mandibular advancement devices may be useful, but nasal CPAP is less frequently required than in OSA and wakefulness promoting drugs are not indicated. 2 Palatal surgery. Resection of part of the palate together with a uvulectomy has been practised for many years (uvulopalatopharyngoplasty, UVPPP, UPPP) and is often combined with a tonsillectomy 48 . UPPP may lead to nasopharyngeal stenosis, nasal regurgitation of fluids due to palatal incompetence (velopharyngeal insufficiency), voice change and loss of taste. Multiple system atrophy (MSA, Shy-Drager syndrome) is a degenerative disorder of the CNS that affects the extrapyramidal, cerebellar, and autonomic neurons (see Chaptei.34,). Autonomic dysfunction in patients with MSA is due to the loss of preganglionic neurons in the brain stem and spinal cord. Patients with MSA typically present with diffuse autonomic failure and parkinsonian, cerebellar, or pyramidal deficits in different combinations. y Autonomic features include orthostatic intolerance, erectile dysfunction in males, bowel hypomotility, urinary incontinence due to denervation of the external urinary sphincter, and respiratory disturbances (sleep apnea and laryngeal stridor). There is usually a poor response to levodopa. Pathologically, cell loss and gliosis in striatonigral, olivopontocerebellar, and autonomic neurons are evident, and intracytoplasmic oligodendroglial and neuronal inclusions are frequently present. Sleep-related breathing disorders include central sleep apnea syndromes (including primary in adults or children as well as those related to Cheyne Stokes, high-altitude, medical conditions, or drugs), obstructive sleep apnea syndromes, sleep-related hypoventilation hypoxemic syndromes (related to alveolar hypoventilation or a medical condition), and other sleep-related breathing disorders. Hypersomnias of central origin include narcolepsy, recurrent hypersomnia (as in Kleine-Levin syndrome or as related to menses), idiopathic hypersomnia (with or without a long sleep time), behaviorally induced insufficient sleep syndrome, or hypersomnia due to a medical condition, drug, or nonorganic or physiological (organic) factors. In oxygen saturation due to, for instance, alterations in body position and ventilation-perfusion matching. Small desaturations often follow hyperventilation during wakefulness at night, leading to a return to a normal oxygen saturation during sleep. 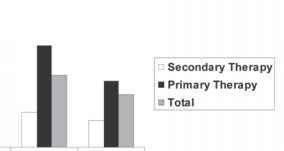 This does not represent an abnormal sleep apnoea or sleep desaturation. Visual inspection of the pattern of the oximetry tracing during sleep is often of more value than using unvalidated indices, such as the desaturation index. In obstructive sleep apnoeas each desaturation is slower than the resaturation, but the pattern is more symmetrical in central sleep apnoeas and Cheyne-Stokes respiration, which often also have a more uniform frequency and minimum desaturations during the night. 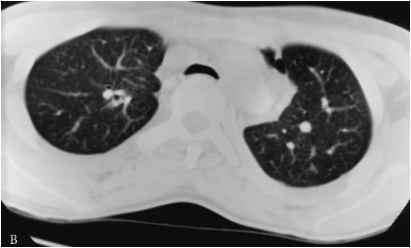 In chronic obstructive pulmonary disease the desaturations are more prolonged and occur particularly in REM sleep. 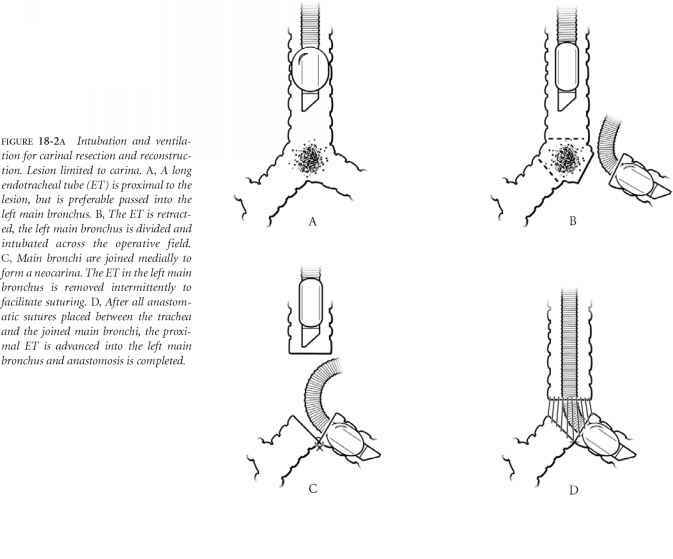 The indications for mandibular advancement devices are mild to moderate obstructive sleep apnoeas which are unresponsive to first-line treatments and in which surgery or CPAP either have failed or are con-traindicated. The devices are most beneficial in the following situations. 4 In subjects who cannot tolerate alternative treatments such as CPAP. These devices rarely completely abolish snoring, but may significantly improve mild to moderate obstructive sleep apnoeas. A reduction of the apnoea-hypopnoea index to less than 10 per hour is usually taken as a successful outcome. 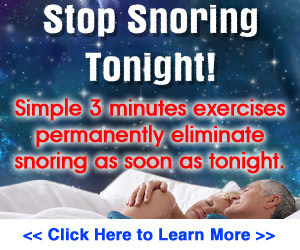 A reduction of around 50 of the number of sleep apnoeas is achievable in around 50 of those with sleep apnoeas. Improvements in daytime sleepiness, memory and ability to learn have been demonstrated with mandibular advancement devices. Localization techniques, such as sleep nasendoscopy, have been used as a predictor of response to this type of treatment, but there is little evidence regarding their value. Cheyne-Stokes respiration is closely related to central sleep apnoeas. It is characterized by a regular waxing and waning of tidal volume with little change in respiratory frequency during the phases when breathing is taking place. Between these cycles there may be a short or prolonged apnoea, which if it exceeds 10 s is classified as a central sleep apnoea using conventional criteria. Occasionally, however, the waxing and waning of tidal volume occurs without any cessation of breathing (Cheyne-Stokes variant). Hypoxia also increases the synthesis of plasma vascular endothelial growth factor (VEGF). This is a glycoprotein and angiogenic cytokine, which also modifies vascular tone. It is increased in OSA, both during the day and at night, but its levels fall if nocturnal hypoxia is relieved by CPAP. OSA may also induce a hypercoagulable state due primarily to an increase in fibrinogen levels 11 . Fibrinogen is an acute phase protein which promotes thrombus formation and also leads to platelet aggregation and smooth muscle proliferation. The increased fibrinogen level is mainly due to oxygen desaturations. It peaks in the mornings, is independent of obesity, but can be slightly reduced by CPAP treatment. The relationship of PLMS to obstructive sleep apnoeas is complex. The diagnosis of PLMS may be difficult in the presence of obstructive sleep apnoeas because arousal from the apnoeas often causes a limb movement indistinguishable from a PLM. The sleep fragmentation due to obstructive sleep apnoeas may also induce PLMS. Treatment of sleep apnoeas with, for instance, nasal continuous positive airway pressure may clarify the situation by abolishing the limb movements, but equally it may lead to more consolidated sleep and increase the number of PLMS. The complexity of the sleep study varies according to the suspected diagnosis. 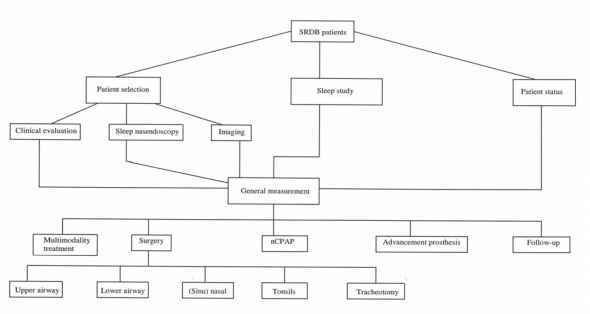 If obstructive sleep apnoea is most likely, an oximetry study may be sufficient on its own, or combined with measurement of airflow and abdominal and rib cage movement. In most other situations polysomnography is needed to give information about sleep architecture, arousals, sleep-onset REM, and the cause of arousals from sleep, such as periodic limb movements in sleep, central sleep apnoeas or gastro-oesophageal reflux. Serial sleep studies may be required to monitor progress with treatment. OSA may occur following any type of stroke 20 , but particularly with those involving the posterior inferior cerebellar artery, leading to pharyngeal and palatal dysfunction. Obstructive sleep apnoeas after a stroke correlate with early neurological deterioration and increased disability at 6 months, possibly because the lability of the blood pressure during each apnoea increases the extent of the cerebral damage. Treatment with nasal CPAP is poorly tolerated with only around 50 using it acutely and 10 at 3 months. Nasal CPAP could also have harmful effects, such as reducing the Pco2, which leads to cerebral vasoconstriction. Chronic hypertension is associated with obstructive sleep apnoeas even when confounding factors such as obesity, alcohol intake, diabetes mellitus and inactivity are taken into account. It is mainly due to sustained increased sympathetic activity during the day as a result of intermittent hypoxia at night. The blood pressure usually rises by around 3-5 mmHg. Hypertension has been thought to be associated even with mild obstructive sleep apnoeas but is probably only significant when the desaturation index is greater than around 20 per hour. Hypertension is most closely associated with OSA between the ages of 30 and 50, possibly because of a greater sympathetic reaction to hypoxia in this age range, and may be drug resistant, although it is reversible with CPAP treatment. systemic vasoconstriction that OSA lead to. It improves slightly with CPAP treatment 21 . The nasal masks used for ventilatory support are similar to those used for nasal CPAP (Fig. 11.3), but oronasal masks are occasionally required. If neither can be tolerated a mouthpiece or nasal seals are alternatives. 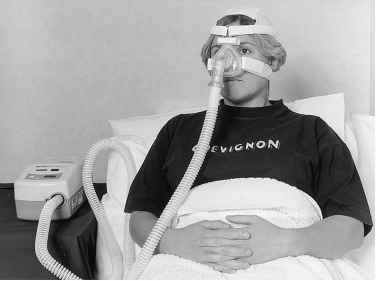 The mask connects to either a pressure or volume preset ventilator. The former is more frequently used, and in neuromuscular and skeletal disorders it is common for the peak inspiratory pressure to be 20-25 cmH2O with a positive end expiratory pressure of 2-4 cmH2O to prevent alveolar closure. The inspiratory time is 0.8-1.0 s with an expiratory time of around 2 s. A sensitive trigger and short response time are preferable in view of the rapid respiratory rate adopted by these patients. Some disorders are exacerbated by or occur only during certain sleep stages. 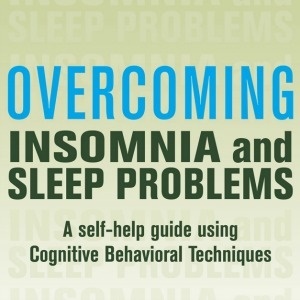 Sleepwalking, for example, occurs with arousal from slow-wave sleep. Epileptic seizures tend to be facilitated by NREM sleep but inhibited by REM sleep. Obstructive sleep apnea (OSA) is typically worse in REM sleep because of REM atonia and alteration of respiratory chemosensitivity. The absolute contraindication for T therapy is the suspected or documented presence of prostate cancer or breast cancer 212 . Although there is no evidence that T or any other androgen initiates prostate cancer, it is generally accepted that T therapy may accelerate an already existing prostate cancer. Relative contraindications and cautions include severe congestive heart failure for concern of fluid retention, and polycythemia, severe sleep apnea, severe lower urinary tract symptoms, gynecomastia, and male infertility 157 . There has been considerable variation in the use of this term, but it usually implies a reduction in airflow or respiratory movements by over 50 for 10 s or more from the baseline, associated with either oxygen desaturation or evidence of an arousal. It therefore requires more complex monitoring than is needed to identify a sleep apnoea.